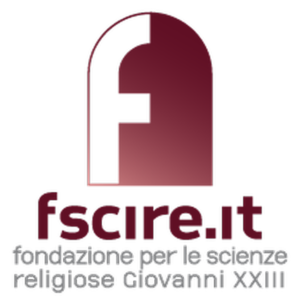 The Fondazione per le scienze Religiose Giovanni XXIII in Bologna is pleased to announce the next ReIReS Course on digital humanities and religious studies, 3-5 July 2019 in Bologna. Especially – but not only – PhD students and postdocs are welcome, both from ReIReS partners and other institutions. The course offers a perspective on excellence in Italian DH and on pioneering studies in the European and international context. In particular, it focuses on digital libraries and other features of Italian research, with special regard to religious studies. The expertise of the scholars offering lessons and training activities will be matched by theoretical and technical transfer on specific topics, such as analysis of Conciliar texts and Qur’anic palimpsests and manuscripts. Maristella Agosti, (University of Padua), Dino Buzzetti (University of Bologna), Davide Dainese (University of Bologna), Alba Fedeli (Hamburg University/Fscire), Alicia González Martínez, Claudio Leombroni, Thomas Milo (Decotype), Daniele Pellacani (Università di Bologna), Michele Pellegrini (Fscire), Francesca Tomasi (University of Bologna), Fabio Cusimano (Veneranda Biblioteca Ambrosiana), Carlo Meghini (CNR). The school meets ReIReS Common Objectives and Standards. learn methodological implications of DH technical tools. You can read more in the ReIReS Training Programme, page 57-59. We welcome your application by June 10, 2019 via the online application form. The course is open to scholars affiliated to the ReIReS consortium and to max. five persons from outside the consortium. Persons from outside the consortium will pay a registration fee of € 395.00. Persons from Europe and from countries associated to H2020 can apply. You will be informed on acceptance of your application within three weeks.